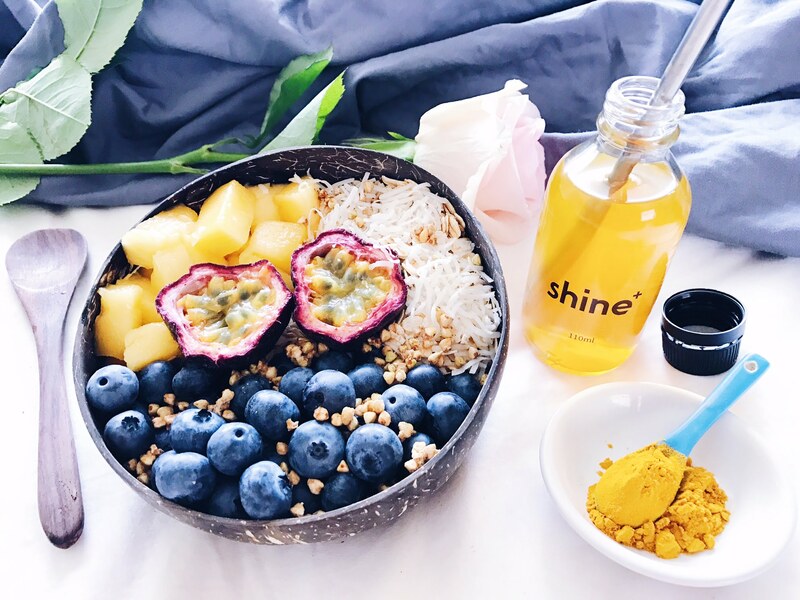 Recently I’ve been enjoying a little drink called Shine+, which tastes delicious & I’ve also found its helping improve my concentration throughout the day. Shine+ contains an all natural, but very powerful ingredient – turmeric. Turmeric is a yellow-orange coloured spice that is part of the ginger family & research is finding that it may be one of the most effective natural supplements in existence! Turmeric contains the active ingredient curcumin, a polyphenol (natural plant chemical) that has been shown to have powerful anti-inflammatory and antioxidant properties. Chronic inflammation is the primary contributor to many common Western diseases including heart disease, diabetes, cancers, Alzheimer’s and other degenerative diseases! Curcumin can inhibit the molecules known to play major roles in inflammation, helping to fight chronic inflammation at a molecular level. In fact, curcumin has such a powerful an anti-inflammatory effect on our body that it is matches the effectiveness of many anti-inflammatory drugs & is being used to help manage and treat conditions like Alzheimer’s, cancer & arthritis. I won’t go into the specific molecular details or NF-kB pathways, because inflammation is an extremely complicated process, but it means that consuming a natural spice like turmeric could help prevent these chronic diseases, without any of the nasty side-effects of that come with drugs! Sponsored Content: This article is proudly sponsored by Shine+. Why? Because I love Shine+ l and only recommend companies/brands/products that I truly believe in and who share the same approach to health as I do. All opinions are my own and not influenced in any way. We got a stack of fresh turmeric in our vegie box this week and I was wondering what to do with it! THANKS ? ?